This is the kind of thing that happens when distribution laws are made up state by state and there is no overall Federal regulation or rules. Seems that within the State of Illinois if you own a brewery you are able to “self distribute” within the state. So what does this mean and why is it important? Well given our three tier system of alcohol distribution in this country, if you can cut out a tier you can make a lot more money. Traditionally, beer is made at the brewery, sold to a distributor, who turns around and sells it to a retailer, and is marked up at each stage before we get to buy it at a store. If a Brewery can cut out a step, they can not only get their mark up, but the distributor’s mark up too, and if they are smart they can take a little less to get the product to consumers at a lower price, making their beer more attractive to the price conscious end consumer. So not only are they making more money by being able to sell their products directly to retailers, but they can also gain more market share from all the fizzy yellow beer drinkers. Lets face it, if you had to choose between Natty Light and Bud at the same price most would choose Bud. So that is the total motivation behind the purchase of the Goose Island Beer Company. Money, and lots more of it. So if you were thinking that somehow Bud was interested in making better beer, you were mistaken. They want to make more money, pure and simple. Why else would they pay $38 million for Goose Island, when it was only really worth about $4 Million? Because they can spend $38 million and make $50 million every year forever (or whatever the number is). This also explains why they had no interest in the tap houses that Goose Island owns. They don’t care about the beer, or the culture, or the community. They care about the money. Unfortunately this bodes poorly for the brewery as we know it. Since they really don’t care about it, I’m sure it will continue as a viable business, but the craft and culture that was there will be replaced with one driven by profit and money. UPDATE: Thanks to Steve a commenter that submitted a link to a story that was in the Chicago Tribune. You can read the Trib’s Article here. This shows that the purchase of the Goose Island facility is part of a multi pronged attack to be able to self distribute all AB InBev beers in the state of Illinois. Thanks Steve! UPDATE #2: The plot thickens. Interesting that AB InBev is trying to kill a bill before the State legislature that would extend the ability of small producers to self distribute past May 31st of this year when current legislation sunsets. At the same time they have been in a two year legal wrangle to purchase a distributorship in the Chicago area. While these two things seem to contradict themselves it is becoming clear that Goose Island is a pawn. Purchasing GI got them a seat at the table to discuss this self distribution law. They are very outspoken and want to crush it, thus killing many small breweries in Illinois. At the same time they are pushing legislation that would allow them to purchase the distributor in Chicago. This means that at the end of the day they would be the only brewery in the State with the means to self distribute. Shady and oh so Chicago! UPDATE #3: This has been going on for a while in the Illinois State Legislature. Here is an excellent write up of the legal manuvers happening in Springfield. Also it looks like Miller Coors is getting into the fray as they try to defend their number 1 position as highest beer seller in Chicagoland, and are fighting against what AB InBev is trying to do. Here is the article. Update #4: Turns out that there are a couple of guys that have been watchdogging the Illinois Legislature since this has began back in late February. This is a really great anthology of all the happenings around this issue. I’d like to thank Ryan Hermes for leaving a comment about all the work they have done over at http://www.guysdrinkingbeer.com. Here is a link to a page they started called Save the Craft. This is an execellent resource both for information, and to get involved in the fray if you are so inclined. Thanks Ryan. Here is the link to the page. You guys are regular beer sleuths. Nice job. Well, many would argue that BMC created the three tier system to eliminate competition. I mean real competition, the kind that Sierra Nevada, and Sam Adams are beginning to bring. And no this is really no surprise, but there was speculation as to their motivation, and now we know, and unfortunately is isn’t to make better beer for the masses. The three tier system does have its’ advantages. It provides thousands and thousands of jobs. It offers a stage of control. It does cut costs on bulk. However, it is highly skewed to service MillerCoors and ABInbev. Given the chance to mark up MillerCoors or, for example, Oskar Blues, a distributor has NO CHOICE but to mark up Oskar Blues. They make their money on the 45,000,000 (obviously an over statement) different packages of Miller Lite that they are forced to sell because the macros control their revenue stream. It is even a little more nefarious than that Ken. See the Breweries will pay distributors a kickback for the amount of their product they sell. For example here in Boise, one of our distributors (I forget which one) gets approximately $700,000 a year from Bud for selling their product here in the Treasure Valley. That buys a lot of influence. If they begin to carry a beer or too much of a certain type of beer, that dollar amount goes down. Piss them off too much and they go to the competition, along with their little $700,000 payola check. In a perfect world the three tier system would have it’s advantages. The way it is now the big three can dictate what a distributor carries because of the sheer monetary clout they have. This is exactly why we’ve been fighting to keep the beer laws the way they are here in Colorado. Give the AB/InBevs of the world an inch and they’ll take a mile. They had no interest in the taprooms because they are restaurant/brewpubs. Why would AB want to buy restaurants? Also, since when did AB wanting to make more money become a rumor or news? I think it’s on the authority that Don has it on that makes this post-worthy. He’s not analyzing the situation or speculating here. My point was that if they were truly interested in “craft” they would want to be a part of the “craft Community” this includes pubs. That was not their motivation in the least, and that is why I pointed this out. It is news, because it goes to an ulterior motive behind the purchase, and finally seeing that indeed the king has no clothes. But this is all up in the air anyway and won’t be settled until May 31st of this year. There is a law proposed that could possibly limit the self distribution in Illinois to 20,000 barrels. AB obviously knew this was going on because they basically pushed loopholes in IL law into sight. So I really doubt that buying Goose Island was part of some bigger plan for distribution. Granted I’m not going to imagine that AB would buy them because they want to join the craft beer community. They’re an enormous international company so the bottom line takes much more precedence over craft. Here’s a link to an editorial talking about the potential law change in IL. I’m betting that law will NEVER be changed now. Red Stripe friggin blows. Carib blows. I’m sticking to vodka and crankberries and Beam n’ Cokes. No bear sightings yet though. Good work, you guys are just a couple of good ole’ private eyes…..which one is Hall and which ones if Oats….private eyes…their watching you! I call Hall!!!!! Dibs on Hall!!! Hey, being Oats, isn’t do bad, at least he had a nice full head of hair! John, the last time my buddy went to Jamaica the cab driver sold him a huge bag of pot for $40. It lasted the whole two weeks he was there. Maybe some Ganja would make that red stripe taste better…Jus Sayin’. Did you find a cab driver? The Concierge? A guy in the lobby? Was it colonel Mustard in the Foyer with a pipe? Not shocking, but it’s confirmed now. Good source on this one. Just throwing this out there… If AB offered me $38mil for my homebrewery so that they could distribute their beer in washington with no middle man… I’d gladly accept their offer. It is all about the almighty dollar. They beat the Halls up with big bags of money to get their brewery so they could make more big bags of money. Having been beat up by a big bag of money once before, it always comes home to roost. Wish the Halls could have held out. I wish someone would beat me up with bags of money. I just keep getting beat up by everything else. I hear you! It is like me and the lottery. I’d love the opportunity to show people how to be a responsible lottery winner! Funny story… My mother is one of the not-so responsible lottery winners. Seriously, did she put some aside for her children? And is she open to adoption? Evil bastards. And I thought they had come around to sing kumbiya’s and drink BCS. Damn it fooled again! OK, John…I know this isn’t “shocking” news but it is news nonetheless. Just confirming their Evil Bastardiness. I’m glad you exposed the evil they were perpetuating . I knew they were evil I just didn’t know the plan till now. Nicely written. If all it takes to self distribute in IL is having a brewery in the state, why didn’t AB just build a brewery in IL years ago? They have plenty across the country and if having one in IL would result in that much money, why wait to find one they could buy when they could have just built their own? Also, are we sure that this pertains to beer that’s not brewed in the state of Illinois? My understanding is that it has to be an “Illinois Business” so that is why they purchased one, and too my understanding is yes the law will apply to all products produced by the owner. That is my understanding today. Also I’m guessing that buying a brewery for $38 million is a lot less hassle than building a new production facility. It could also scrwe up their supply networks adding a major production facility that close to St. Louis. Just thoughts here, but I think they are plausible. Hmmmm, if that’s the case then why spend the money on Goose Island? Why not just the smallest (and cheapest) possible brewery in Illinois? I suppose they want some Plausible Deniability that that wasn’t their sole reason for this. Plus $38 million is a pittance to them. I don’t think plausible deniability matters to them because we (i.e. the tiny tiny segment of the market they don’t care about) are the only ones who really care and if it’s not illegal, they should have nothing to worry about. $38 million is still $38 million especially when you’re talking about a company that we all like to accuse of being in it just to make money. Again, I see where you’re coming from. I’m just used to throwing out a counter point of view. Mikey they don’t give a rats behind about us. No it is the Illinois Legislature that they would need to have Plausible Deniability for. I’m pretty sure they don’t want to be seen as trying to bully the system and then have the Illinois State Legislature go ahead and change the law on them. I have updated my piece with an article that appeared in the Chicago Tribune a couple weeks back that lays things out in greater detail. Couldn’t it be true that they intend to leave the beer relatively similar and just exploit the three-tier system? I mean, trying to gain market share from fizzy yellow beer drinkers would involve selling them Goose at a cheap cost, but it would still have to be different. Of course buying it was a business decision, but I’m not sure what’s so evil about trying to make money, or why it precludes making decent beer with an established brand. Is the problem just that they are now theoretically able to undercut legit craft outlets? And weren’t they always able to do that in theory? Someone still has to buy $500 million worth of the stuff for them to make their money back, right? I’m half playing Devil’s Advocate, and half trying to see what’s so evil about ABI trying to use a system to their advantage. It truly has nothing to do with Goose Island Beers. They will just be an annoying byproduct they have to deal with. The motivation was to be able to self distribute Bud in Chicago! That is where all the profit from this transaction will come into play. Don, that doesn’t make sense. If what you need is a brewery in-state, just buy a cheap one. And if you can only self-distribute beer brewed at the facility you own, GI still isn’t nearly big enough to produce lots of Bud. For $50 mil they could have built a bigger brewery in Illinois. So it can’t simply be shelling out many tens of millions for a brand in which they have no interest. I’m not questioning the information, but ABI is a creature of profit, and that explanation doesn’t make any business sense. Greg, I have updated my post with an article from the Chicago Tribune that puts the buyout in another perspective as a pawn in a very elaborate legal chess game. There are so many agendas in the Illinois beer saga, I think you may have focused upon just one small slice to make INBEV look (more) evil. INBEV is fighting a law the will allow self distribution by small craft breweries. They are also currently fighting in court for the right to buy one of the main distributors in the Chicago area. The bigger picture is InBEV was snubbed by Chicago, and is now willing to try everything to prove they are not to be turned down. I think they share the Walmart business model, do anything to get in, then pull apart the competition with low priced product of dubious quality. Thank’s Steve, I have included your information on an update of this post. Thanks for sharing your insights. I think Inbev has the best of both worlds. They can now self distribute and they can widen the goose island brand which is well known and slowly degrade it. I agree with Steve. It is a strategy that will ultimately lead to them getting what they want, but it is an agenda that does nothing to advance the cause of craft beer and will in fact lead to the overall demise of what was a very good craft brewery. 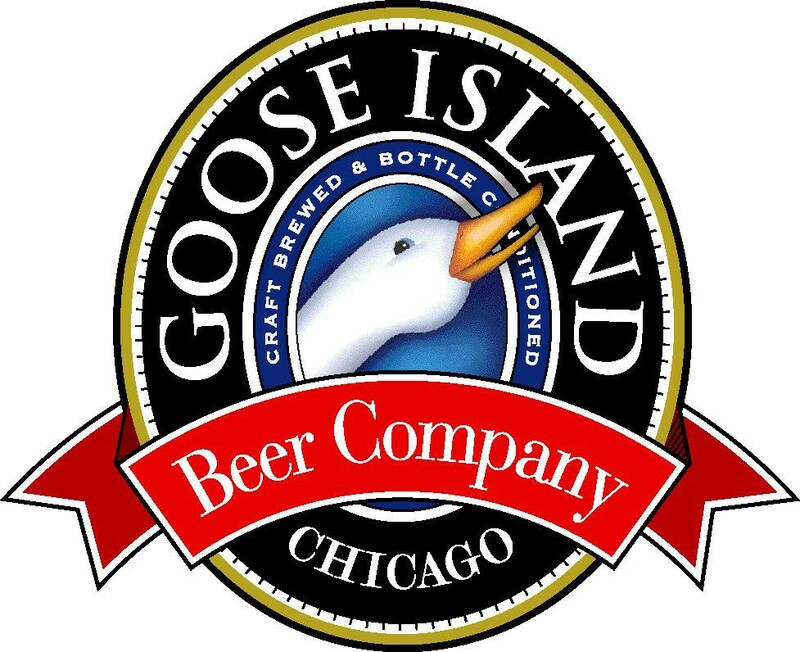 I think Steve and John have it right; there are a lot of efforts, but the purchase of Goose Island looks more calculated to be a foray into the craft beer market, as we originally thought, and to compete on price with various other large craft outlets, at least in Illinois. Unless legislation changes everything, it doesn’t seem like purchasing GI would allow ABI to self-distribute anything other than GI, so the idea that this is a workaround only to be allowed to self-distribute Bud seems unlikely. I agree that it definitely makes the motives seem more Walmart-y, but like many on here have said, that’s not exactly a shock. ABI exists to make money, not to help craft beer. As the article states, though, self-distribution is legal in other states (including mine), and craft beer has still managed to survive and thrive in those. Still, it’s hard to read stories about Chicago’s alcohol laws without finding them very, very shady. I hope ABI can keep GI relatively stable as they build it, but I agree with you Don that it’s looking less and less likely. I wanted to throw some added information out there on this. We at GuysDrinkingBeer.com have been writing about this issue since late February. AB did not need to buy Goose Island to have a seat at the table to talk about this self-distribution legislation. They hired over a dozen lobbyists and employ three of their own to do that for them. At a February meeting between AB, beer distributors, craft brewers and the craft brewers guild nearly half of the 20 people in attendance were representing AB. They have hired some of the best lobbyists in Springfield to represent their interests. As far as their endgame is concerned, we have been told by multiple sources (both lawmakers and those at the negotiating table) that AB is going to do everything in its power to kill any and all legislation benefiting craft brewers and setting any sort of barrel cap for self-distribution. If no legislation is passed then all brewers in Illinois lose their right to self-distribute after May 31st per Judge Dow’s judgment. AB will most likely appeal that decision claiming the law is too vague in hopes of gaining self-distribution rights in the state. The worst case scenario for craft brewers in Illinois is if NOTHING is passed by the General Assembly by May 31st. It is obvious from just this little post that these guys are huge into the legal wranglings and that they want power and influence and money. This is actually much larger than I suspected. Thanks for the mention and the link, Don. It’s been exhausting keeping up with this seemingly ever-changing issue in Springfield. We’re doing our best to educate and inform the craft beer community in Illinois about legislation that, for better of for worse, will shape the future of craft beer in this state. Thank You Ryan for all your efforts. Your page is a great resource, and it is clear you are an expert on what is happening in your state. It isn’t that easily understood a topic either. Fraught with twists and turns and hidden agendas. Thanks for tracking it so well. Don, maybe they will buy you out to keep you from messin’ up their plans all the time.